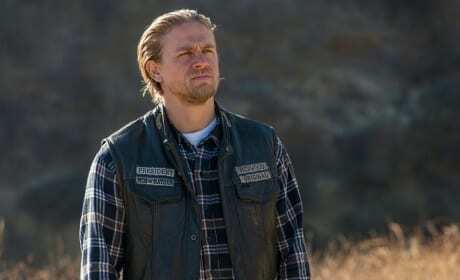 Jax Teller took his final ride on the Sons of Anarchy finale. 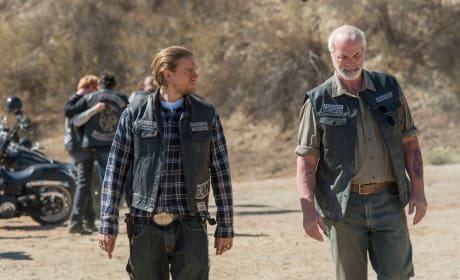 It was the proper way for the show to go out. 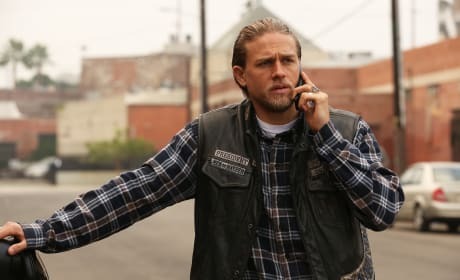 This is a photo of Jax from Sons of Anarchy Season 7. 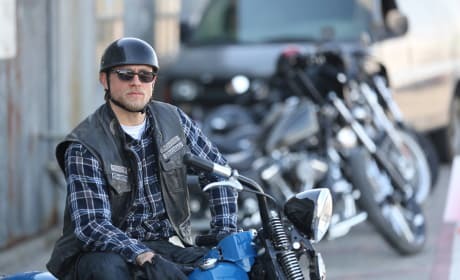 It's courtesy of the show's penultimate episode. EVER. 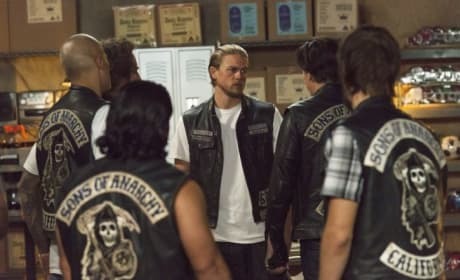 Jax gathers SAMCRO around him in this scene from Sons of Anarchy Season 7. They have a great deal to discuss. 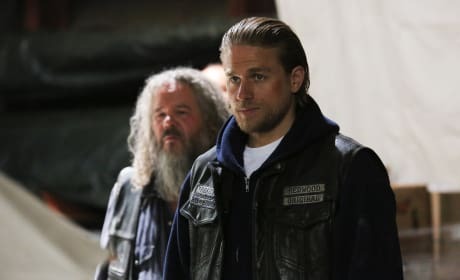 What has Jax gotten his club into? 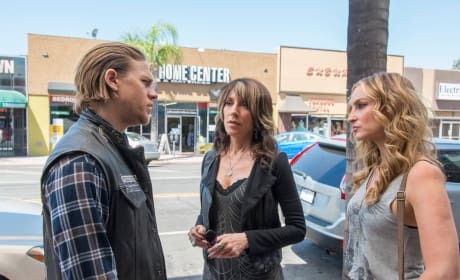 This is a scene from Sons of Anarchy Season 7. Leather doesn't work well in water. 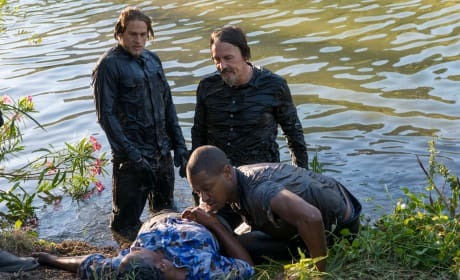 We're assuming that's a dead body in the water but why have Jax and Chibs gone for a swim? 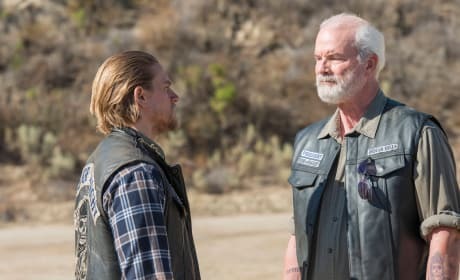 When the club tries to make good on an old promise, they run into problems with their new allies on this episode of Sons of Anarchy. 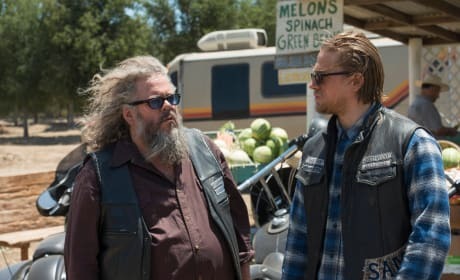 Bobby and Jax confer in this scene from Sons of Anarchy. It is from the episode "Toil and Till."